Almost as soon as motion picture cameras were being used, their operators discovered ways to use them to “trick the eye” into thinking it was seeing things otherwise impossible. Objects and people were made tiny or gigantic, or to appear and disappear by magic, or to float or fly. By 1914, the simple “trick films” of Georges Méliès would be old hat, yet filmmakers continued incorporating his techniques into their films and expanding on them, especially when the subject matter was given to fantasy, or included dream sequences. The films nominated for Century Awards this year are, for the most part, examples of this subtle inclusion of special effects into a broader narrative. “Silent Witnesses” includes a novel use of the divided screen, to demonstrate two ends of a telephone conversation. “The Patchwork Girl of Oz” includes a number of magical sequences, including the original animation of the title character, people turned into statues, and a scene in which a table sets itself for the Magician. The movie “Cabiria” relies on mostly more prosaic storytelling, but does include scenes demonstrating the unearthly strength of Maciste, and the sacrifices to Mammon. The “Squaw Man” is an even more scrupulously realistic picture, but it does reproduce a fire at sea and the resulting sinking of a vessel. Finally, although the setup to “Gertie the Dinosaur” is shown in live-action, the rest of the film demonstrates Winsor McCay’s skill as an animator, the newest art of camera trickery, in which still drawings are given movement. As opposed to the moving but unmotivated characters of 1912’s “Little Nemo” film, Gertie is imbued with both movement and personality, and unlike the simplistic drawings for “How a Mosquito Operates,” she is fully-fleshed and detailed. 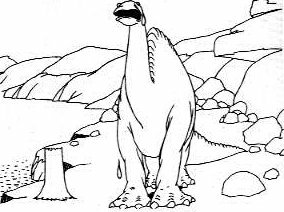 As a movie, the film only works when presented with McCay’s live narration, however the effect of the moving dinosaur is an undeniable advance in film technique. No doubt in future years animation will have its own category in the Century Awards, and this will be due largely to the pioneering work of Winsor McCay.